(Tony Cartalucci - NEO) - For decades the United States and its NATO allies have helped Saudi Arabia export methods of political indoctrination known as Wahhabism to radicalize individuals and swell the ranks of mercenary forces used to wage proxy wars abroad and manipulate Western populations at home. What began as a means for the House of Saud itself to establish, expand, and eventually consolidate political power on the Arabian Peninsula in the 18th century has now become a finely honed tool of geopolitical power integrated into Washington's foreign policy. A remarkable admission was recently made in the pages of the Washington Post in an article titled, "Saudi prince denies Kushner is ‘in his pocket’." Wahhabism was created and used as a political tool as early as the 1700's. It served as the cornerstone of Saudi Arabia's founding. Conveniently, Wahhabism - since its inception - was intolerant to outsiders. To the Saudis seeking political power through conquest, this intolerance was easily translated into the use of violence against tribes and neighboring states that did not submit to Saudi power. 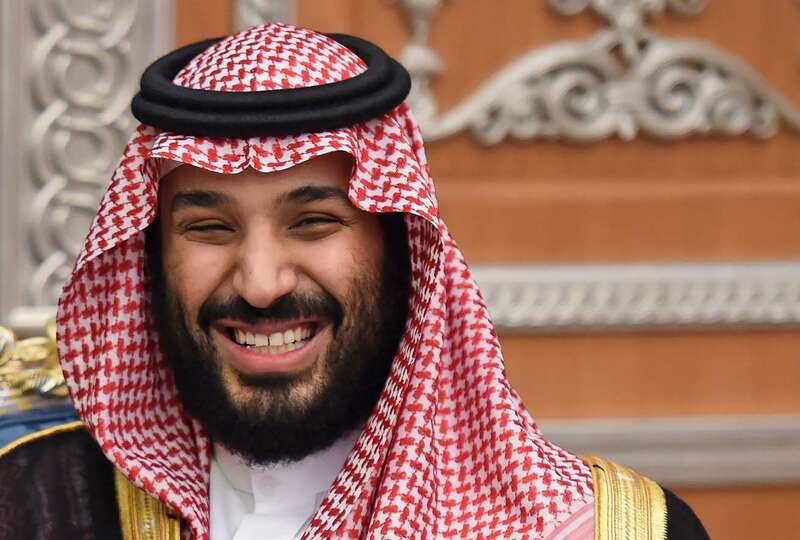 Crown Prince Mohammed bin Salman's admission of this gives further insight into Washington's use of extremists in Syria in the late 1970s and early 1980s as well as US support to militants in Afghanistan aimed at dislodging the Soviet presence there. "Mosques" funded by Saudi Arabia and other Persian Gulf states well beyond the Middle East - including in Europe and Asia - serve as indoctrination and recruitment centers for the US and its allies' various proxy wars and destabilization efforts around the globe. 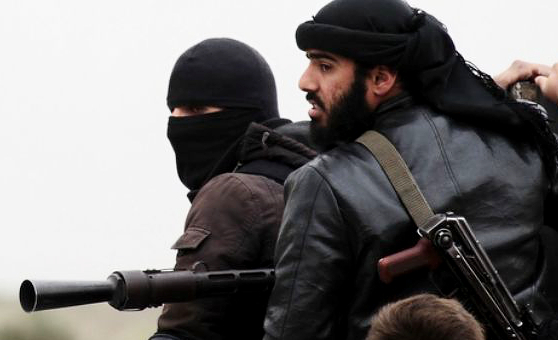 Foreign fighters recruited from around the globe to fight in Syria's ongoing conflict have been drawn primarily from this Saudi-funded and directed Wahhabi network. "Mosques" and "madrases" operating in North America and Europe do so with the full knowledge and cooperation of Western security and intelligence services. The recruitment, deployment, and homecoming of Wahhabi-indoctrinated mercenaries across the West has been admitted even across the Western media. Danish media organization, The Local DK, would expose one such center in Denmark. 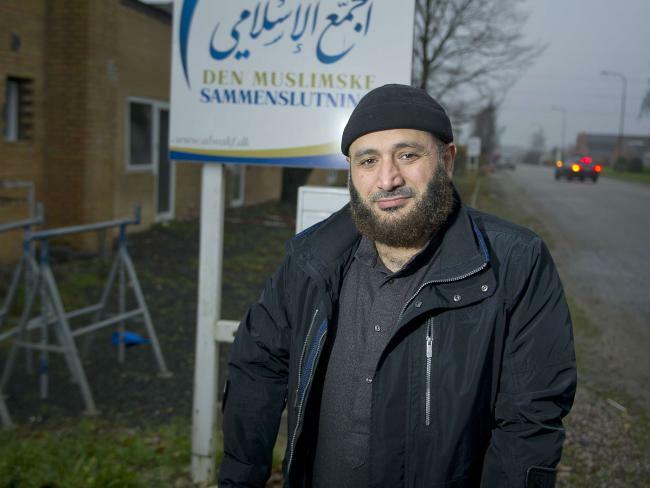 The report in an article titled, "Danish mosque doubles down on Isis support," would describe what is open support for designated terrorist organizations, specifically the so-called "Islamic State" (ISIS). This same supposed "mosque," based in Denmark, despite openly admitting its support of terrorism, would not be immediately shut down and its leadership arrested as one would expect. Instead, the Danish government admittedly worked with he "mosque" to merely manage the process. ...these two men have joined forces in a project that is seeking to find answers to questions that are plaguing the entire continent of Europe: What can be done about radical returnees from Syria? What measures are available to counter the terror which once again seems to be threatening the West closer to home? Astonishingly, the Western media has admitted to a multitude of such "mosques" openly recruiting men across the West to fight as mercenaries in Syria under the banner of Al Qaeda and its various subsidiaries and spin-offs before returning home and posing a security threat to Western populations. Rather than dismantling the network and eliminating the threat, the West has intentionally left it to grow, creating sociopolitical divisions within Western nations. Increasing racism, bigotry, and xenophobia helps continue justifying the West's wars abroad while justifying a growing police state at home. However, the article and many like it, intentionally deflects away from the larger implications of Saudi-funding and the use of these so-called "mosques" as indoctrination and recruitment centers feeding militants funded and armed by the US, Europe, Saudi Arabia, and its Arab partners into conflicts around the globe. The Western media and politicians, as well as Saudi representatives themselves, have attempted to claim Riyadh either doesn't fully control this network, or does not realize this network's central role in driving global terrorism. Such excuses are - however - even at face value absurd. The US and Saudi Arabia's use of Wahhabi networks to fill the rank and file of militant groups fighting around the globe is blatant. 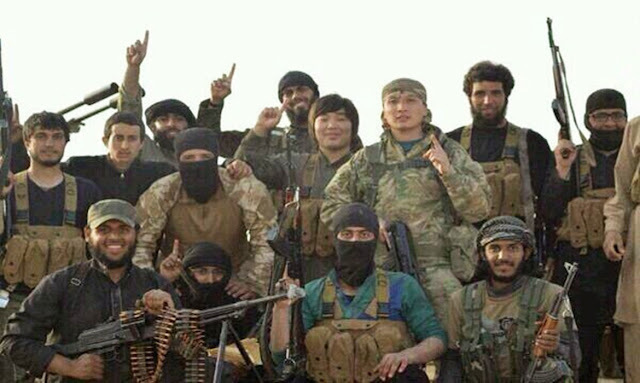 The fighters "accidentally" being recruited in Saudi-funded "mosques" across Europe, the Middle East, and Asia form militant groups armed, funded, trained, and otherwise supported by the US, Europe, and their Middle Eastern allies including Saudi Arabia. In relation to Syria in particular, veteran journalist Seymour Hersh even as early as 2007 in his article, "The Redirection Is the Administration’s new policy benefitting our enemies in the war on terrorism?" would expose this process in action - as the lead up to the 2011 war in Syria was already underway. Thus, there is nothing at all accidental or unintended about Washington and Riyadh's creation and use of these networks. Other tactics have been used as well to prevent directly addressing this decades-long effort. The use of "multiculturalism" versus virulent racism, bigotry, and xenophobia have created a false debate that transforms what is essentially joint Western-Arab multinational sponsorship of terrorism into petty and highly divisive wedge issues. Controlled opposition on both sides of the resulting "debate" intentionally direct public discourse away from questions surrounding the inception and utilization of Wahhabism by both Saudi Arabia and its Arab allies, as well as the West itself. From Saudi-funded "mosques" indoctrinating, radicalizing, and recruiting militants, prospective fighters are then moved toward theaters of operation. US-Saudi sponsored extremists drawn from China's Uyghur population in China's western province of Xinjiang, have been moving across Southeast Asia before reaching Turkey where they stage, are trained and armed before being sent to fight Damascus' troops in Syria. In neighboring Myanmar, the US helped place the current regime headed by "State Counsellor" Aung San Suu Kyi into power. Her ultra-nationalist and viciously racist supporters have waged years of genocidal violence against the nation's Rohingya minority. Simultaneously, the US and Saudi Arabia have created a "Rohingya" militant group led by Ata Ullah - raised and educated in Saudi Arabia. Ata Ullah's backstory is nebulous. His "leadership" may be similar to ISIS' Abu Bakr al-Baghdadi - a figure head of an organization ultimately run by and for Riyadh and Washington. The use of terrorists has served a variety of objectives. For Syria, it is regime change, in China, agitation and possible Balkanization along the nation's frontiers, in Southeast Asia - attempts to divide and weaken nations Washington is attempting to install client regimes in or in nations like Myanmar in which the US requires a client regime to remain obedient, and for the Philippines in particular - a means to retain a US military presence on Philippine soil. And while Wahhabism may have assisted Saudi Arabia in its founding and expansion as a powerful regional player, its sponsorship of these networks today is unsustainable and quickly becoming a liability. The US - as it has proven with many other former allies and proxies - will continue to use Saudi Arabia's Wahhabi construct until both Wahhabism and Saudi Arabia itself are no more. For the public, shattering the petty political wedge issues used by the West to protect this multinational sponsored network of indoctrination, radicalization, and recruitment is essential to enlisting the public in exposing both Saudi Arabia and the West's role in constructing and perpetuating it.